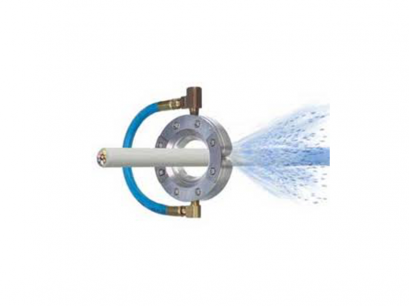 he Air Knife - Air-Blade Blow-Off System from Nex Flow™ is easy to install and maintain. 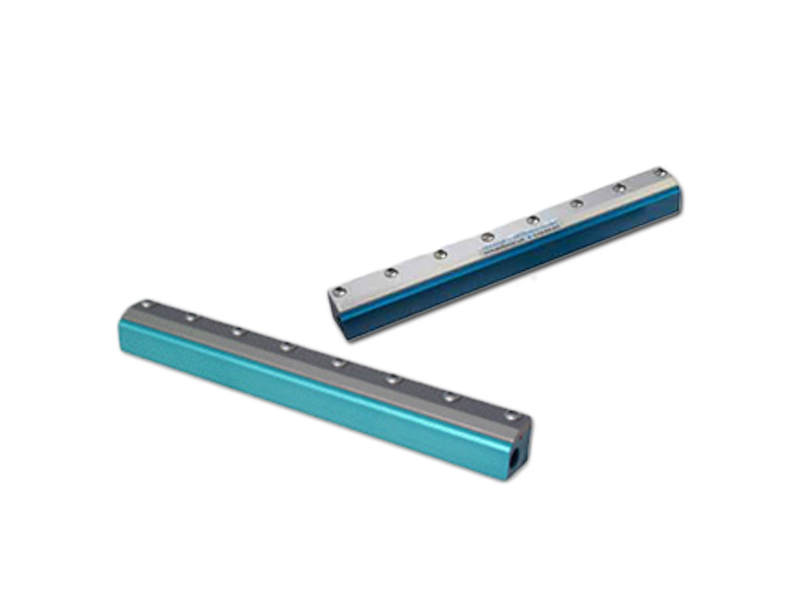 It can reduce both compressed air consumption and noise levels. It produces a “laminar” flow of air using the Coanda effect. This draws a large volume of air from the surrounding area along with the small amount of compressed air from the Air-Blade. It also produces an output flow up to 30 times. 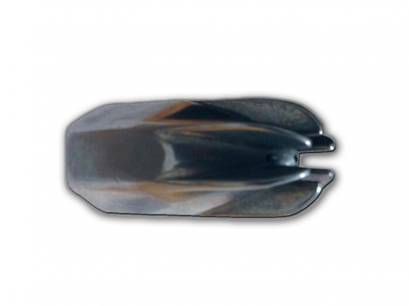 The air knife system payback on compressed air savings can be seen in some applications. 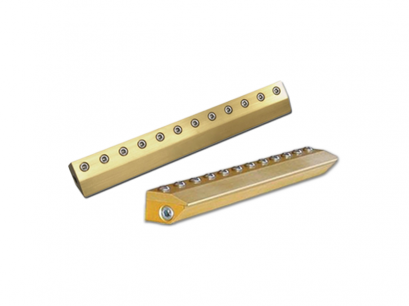 The low cost air knives are rugged with a multiple port design for mounting flexibility. It is coated for longer life compared to competitive products that advertise a full flowing air knife type of system. It is made of a coated aluminum body and hard-coated cap. 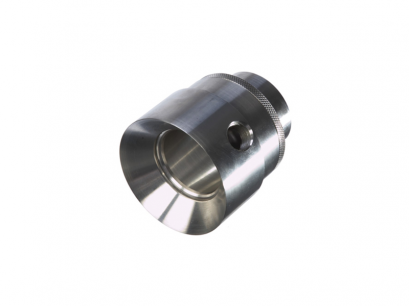 Stainless steel models are available for high temperature and corrosive applications. The multiple air inlet ports at the back ends in a compact design with additional mounting holes. Airflow amplification is approximately 30:1 compared to 3:1 for drilled pipe or open jets and tubes. There is instant on-off mechanism with no moving parts. There are no electricity or explosion hazards. It is built and designed for significantly longer life in difficult environments compared to competing products. There are flexible mounting options and can easily fit in small spaces. Energy reduction in compressed air can use up to 90% and noise reductions of 10 DBA. It is maintenance-free. The output is easily controlled and safe to use. Standard Air-Blade™ Air Knife- Compressed air enters the air knife at the rear (or end) ports at (A). Air is entrained at point (B) by the compressed air stream that leaves the air knife from a small gap. The entrained air follows the coanda profile and along the front face (C) that directs the airflow in a perfect straight line at 90 degrees to create a uniform sheet of air along the entire length of the Air Blade TM air knife at it leaves the air knife at point (D). The amplified air stream maximized velocity and force is maximized as a well-defined sheet of laminar flow with minimal wind shear for reduced energy use in blow off and cooling. special lengths of our Air-Blade™ Air Knife are available on special order including lengths combining several units.